Sweet silver bells! 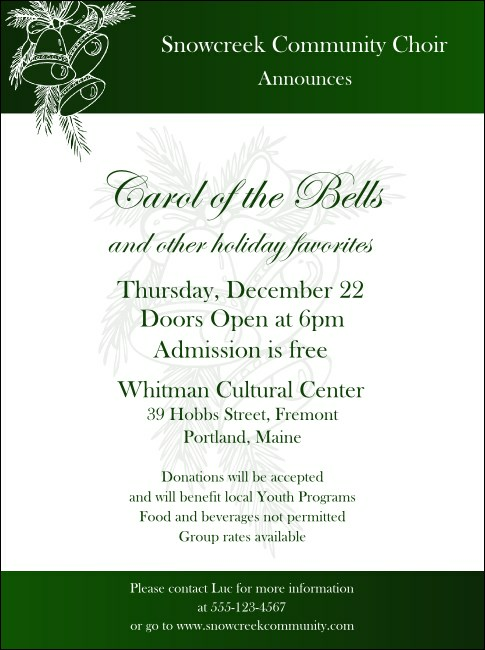 Spread the words of good cheer with a full-sized Christmas Bells Flyer, featuring a frosty green and white design and all the space you need on the template to share the good news about your upcoming party, pageant, or fundraising event this winter. Flyers fill the air with the holiday spirit and boost your attendance. Does this design ring a bell? Check out the matching Event Kit at TicketPrinting.com.